Confirmed! 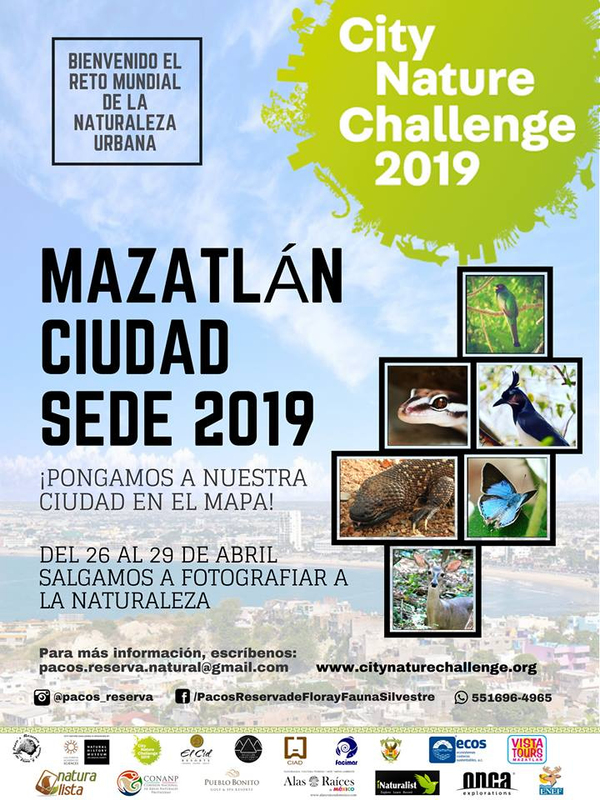 The global challenge of urban nature: City Nature Challenge 2019 will be held in the city of Mazatlan, Sinaloa from April 26 to 29, which aims to create a friendly competition where everyone who wants to participate must go out to the streets of our port and photograph the nature that surrounds us. The City Nature Challenge is an event organized globally by the California Academy of Sciences (CAS) and the Natural History Museum of Los Angeles County (NHM) and which will be organized locally by Paco’s Flora and Fauna Reserve, where seeks to know and show the world everything natural that exists in our city.